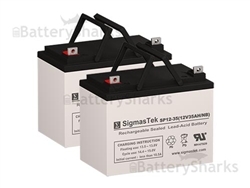 UPS Batteries: What we should know when we need batteries for our UPSs? It is a common fact that the battery in a UPS is the most vulnerable part of the system. In fact, battery failure is the leading cause of load loss. Being aware of how to efficiently maintain UPS batteries will result in extending their service life and minimize any future issues. Improvements in battery technology have been evolutionary rather than revolutionary. There are a lot of technologies that works for prolonging batteries life. In fact, they have already had a great success though didn’t eliminate the inherited risk for any battery. Unfortunately, even large installations with a great number of batteries are in a vulnerable position to a single battery failure. That is why is so important to be taken in consideration the following facts when you maintenance UPS. What are the differences between batteries? A battery is made up of interconnected cells which may be vented or of the recombination type. Release to the atmosphere the oxygen and hydrogen produced during the different chemical reactions. Recombination cells (lead, pure lead, lead-tin batteries): They do not require water to be added during service life. Recombination batteries are also known as “sealed” batteries. These three types of batteries fit perfectly to UPS applications, because they are the result of collaboration with leading battery manufacturers. Another convenience is that users can adapt the capacity levels and backup times to their needs. How could I arrange my batteries? (Fig.1) This installation method is possible for sealed batteries or maintenance-free vented batteries which do not require topping up of their electrolyte. (Fig.2) This installation method is suitable for all types of batteries and for vented batteries in particular, as level checking and filling are made easy. (Fig.3) This installation method is suitable for sealed batteries. It is easy to implement and offers maximum safety. The power of the batteries and how to group them? For the most part, UPS systems require more than a one-cell battery. Hence, a group of batteries is usually connected in series to output a higher voltage. Another way to assemble them is “in parallel” – for an increase in current (Ah).All the batteries have a maximum capacity of current they can produce. For example, a battery with 500milliamp-hour (mAh), can’t produce 30,000 milliamps (mAh) for a second, since the chemical reactions can’t happen that fast. The right temperature in the room where the battery installation is, is also one of the most important factors. A higher current make batteries produce a lot of heat, wasting some of their power. Like all batteries, UPS batteries are electrochemical devices. They contain components and electrodes with grids of lead. Their lead oxides change composition during charging and discharging the electrolyte. They react with each other to create DC electrical current. These components are: Electrolyte, Grid, Anode, Cathode, Valve (used in VRLA batteries), Separator and Jar. What is the life cycle of my battery and which one do I choose? The most important thing you should keep in mind is that, vented batteries must be installed in special rooms complying with precise regulations and require appropriate maintenance! For a prolonged battery life firstly, it is of great significance to be properly stored before installation and service. The battery should be stored in appropriate for the purpose facilities – dry and cool. An important rule is to storage batteries no more than six months in a properly designed facility. 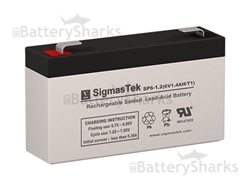 Batteries are the most vulnerable part of the UPS, and determining battery life can be tricky. 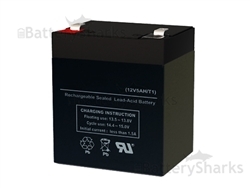 It is a specification that is often promoted on the basis of the design life, defined as how long the battery can be expected to perform under ideal conditions. Thanks for all the needed information? As long as I have been doing this(geeky)stuff,I always discover some new,or confirming information. H.B.